Master the physics of electricity, experiment with electric current and fields, and build simple and complex electric circuits with this super science kit by Thames & Kosmos. 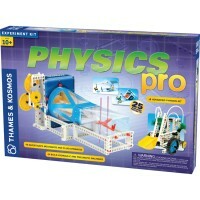 Master the science of electricity with this deluxe physics science kit for older kids. Electricity is everywhere around us. 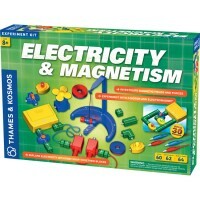 Children will be electrified to learn about electricity with this amazing hands-on science set and apply their discoveries to the everyday experiences. 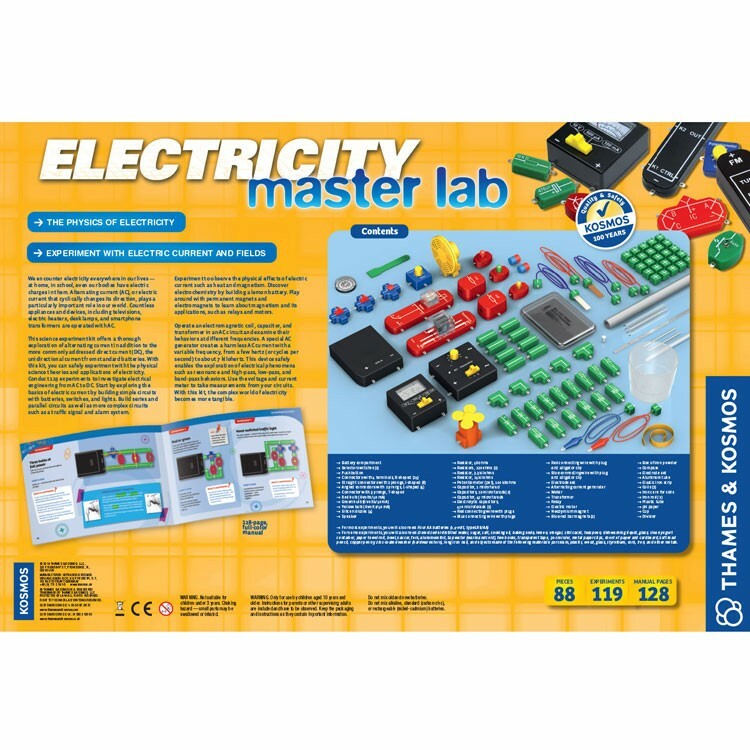 Electricity Master Lab Deluxe Science Kit by Thames & Kosmos includes 140 pieces to experiment with electric current and fields. 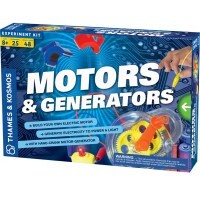 This Thames & Kosmos science kit is the first science toy that fully explores different types of electric current. Discover alternating current that can be found in modern appliances and high-tech devices. Learn about direct current and unidirectional current from regular batteries. 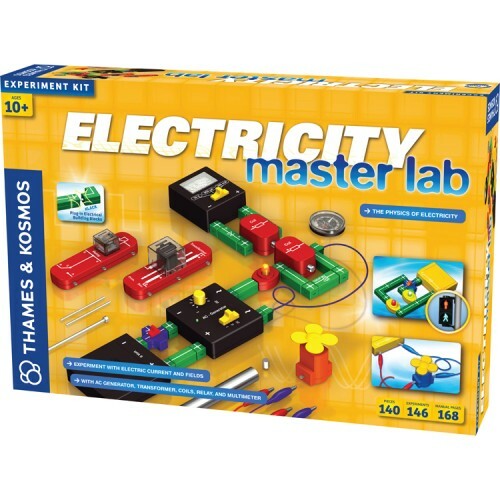 With Electricity Master Lab Deluxe Science Kit kids can conduct 110 safe experiments to explore the physical science theories and applications of electricity. 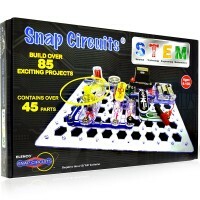 Kids can start from building simple electric circuits with switches and batteries. 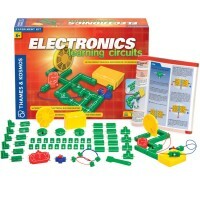 Then move to more building more complex series and parallel circuits including traffic signal or alarm system. 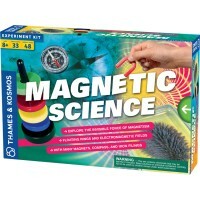 The Electricity Master Lab Deluxe Science Kit lets young scientists to observe the physical effects of electric current such as heat or magnetism. Build a lemon powered battery and discover electrochemistry. Experiment with regular and electro magnets. Learn about magnetism building relay and solenoid brakes. 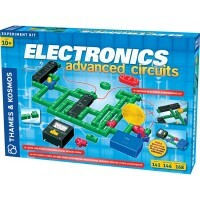 Work with an electromagnetic coil, capacitor, and transformer in an alternating currency circuit and discover frequency. 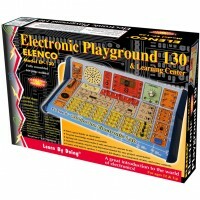 This electricity super science kit from Educational Toys Planet includes a electromechanical frequency meter to measure frequencies. Assemble a special variable frequency generator and learn principles of physics such as resonance and high-, low-, and band-pass behavior. 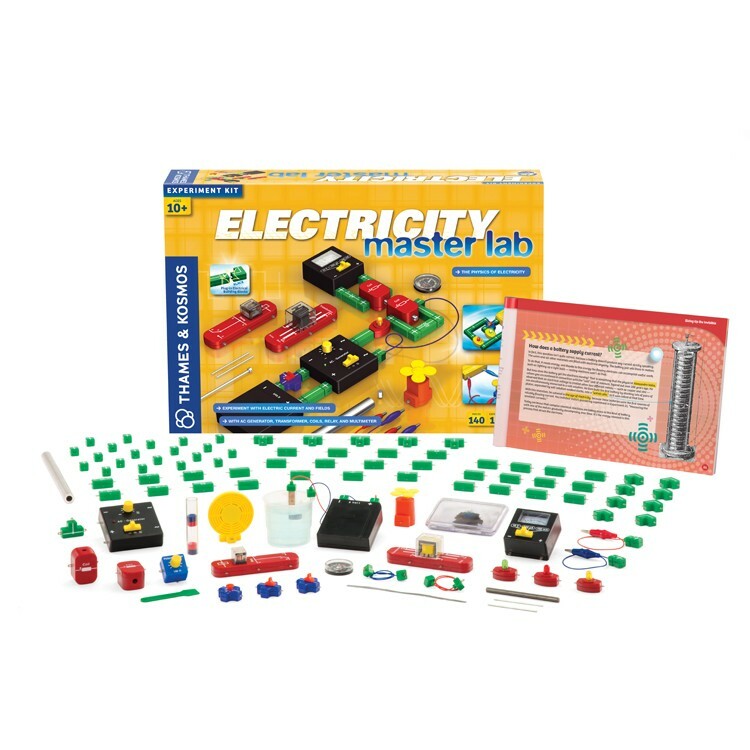 The Electricity Master Lab Deluxe Science Kit features snap together electric building blocks that provide fast no-hassle circuit assembly. 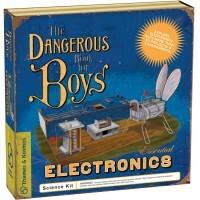 This amazing electricity learning science toy comes with 96-page color illustrated instructions manual that explains scientific facts and clearly presents physical science information to the young scientists. 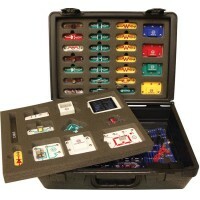 Write your own review of Electricity Master Lab Deluxe Science Kit.